Because who knows what to get the old codger? Yay, they're back! Our annual foray into random gifts to get random friends and family is back on these pages, to inspire your present buying thoughts in time for Christmas. This time around we thought we'd kick things off a little differently, taking a look at a few pressies for your dear old dad, granddad, brother, husband, uncle, or platonic male friend. Or for yourself, if you fancy. Because you're just as important as anyone else. You deserve all thing things. Read on, handsome. 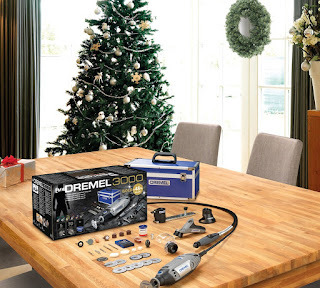 For the fans of DIY you know, or for people into crafting and making, this special edition kit from Dremel is ideal. 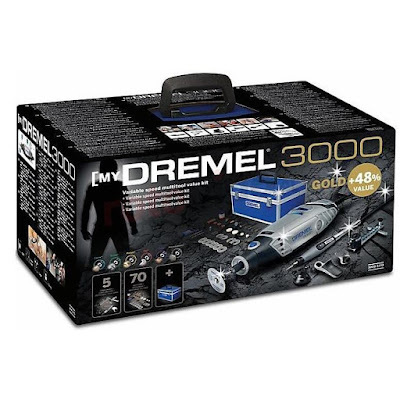 Included in the pack, which comes in a hardy metal tool case, is a Dremel 3000 Multitool, a hand-held powerhouse of versatility. 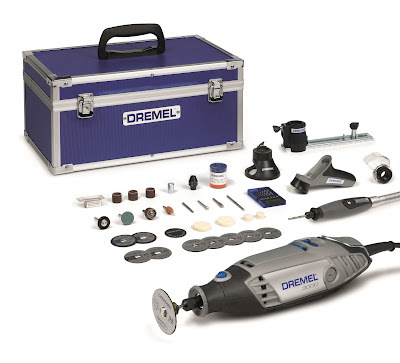 But swapping out the various accessories, the Dremel 3000 can carve, cut, polish, grind, and sand, as well as adapting for other uses. Dremel have released three specialist kits containing the Dremel 3000; a Gold, Silver, and Bronze edition, each with a mix of accessories and appropriately descending prices. But, as we're pretty special, Dremel was kind enough to supply us with one of the Gold Editions to try out (and also a Silver Edition which we'll be giving away as a competition prize in November – watch this space). The Gold kit is intended for the more serious DIY fans, and features five interchangeable attachments and also 70 accessories! 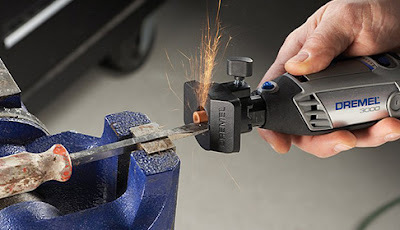 The attachments include a detailer's grip, a comfort guard, a flexible shaft, a multi-purpose cutting kit, and a line and circle cutter. 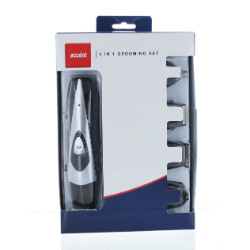 With these you can use the included bits and bobs to complete a multitude of tasks to a high quality finish. The Gold kit's accessories, all of which can be safely stowed away in the included aluminium carry case, contains a wide selection of quick-change EZ SpeedClic bits which allow you do everything you need, right there in an instant. This makes DIY and workshop jobs all the more easier, and quite a bit more fun. Gold Kit (£99.99), Silver Kit (£79.99), and the Bronze Kit (£39.99). Just as the Dremel was a multitool for DIY, so this kit is a multitool for a chap's hair. The Accent 5-in-1 Male Grooming Set, available from Lloyds Pharmacy, includes a powerful rechargeable shaver with five interchangeable heads for various kinds of beard battles. There are three precision trimmers for detailed styling, a standard shaver attachment, and also a nose hair trimmer because... well, y'know why. Other than that there is a handy comb included, perfect for parting your do prior to the annual Christmas inspection from you gran, as well as an internal battery that will you last you for 45 minutes, following an eight hour charge. All that, and it even comes with its own stand. You just nailed the gift getting thing, my friend. Granted, if you ordered a cider in your local pub and it took 48 hours to arrive, you might be a bit miffed. However, a cider home brewing kit that goes from strange plastic wrapped cardboard box to ten delicious pints of cloudy cider in just 48 hours, sounds petty decent – especially as it is super easy to make. Victor's Drinks have produced a simple system, whereby the home brewer need only pour a small sachet of yeast into the box, then top up with a few litres of water. After leaving it for two whole days, the cider (we opted for mixed fruits, but apple is also available) can then be decanted out of a lovely little tap on the front of the box, making it ideal for Christmas parties, or for just drinking until you feel funny and like, super festive and that. Look what we made! Didn't last long, mind. As we said, it was extremely easy to do, and Victor's even provide a little cardboard funnel to help you get the water in. Once brewed the resulting cider is very sweet, naturally cloudy, and un-carbonated (which made a refreshing change from most other ciders you buy in the shops). It really was a very tasty tipple, landing in at around 4% alcohol. We say 'was' because its all gone. Seriously, we drained that mother in just a couple of nights. 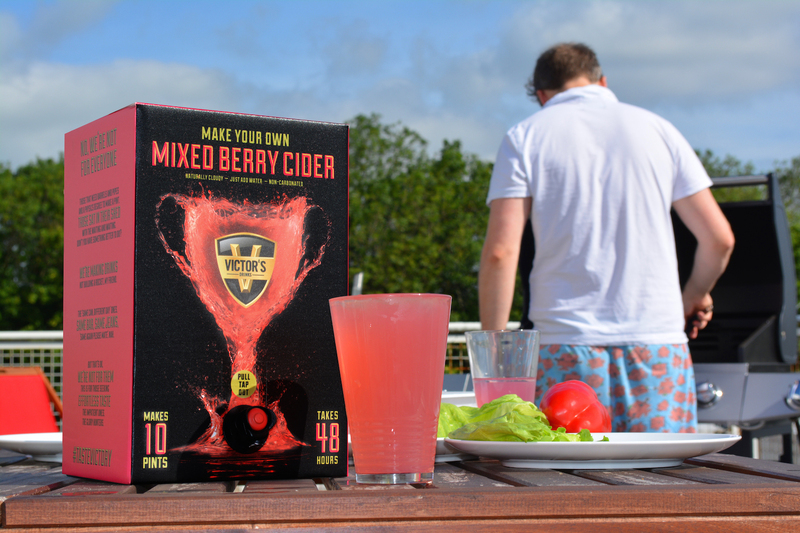 Great for people who like cider, but who also like to get involved in the making process themselves. 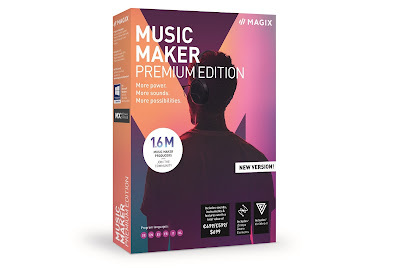 If you're buying this stuff for your dad, the above suggestions have neatly covered the DIY, grooming, and alcohol dependency bases, but what about ol' Pa's love to boogie? Everyone needs a wireless speaker to accompany their phone or tablet, mainly to bolster what is often a lacklustre effort in the speaker departments of most smartphone manufacturers, but also to GET DA PARTAY STARTED, YO! 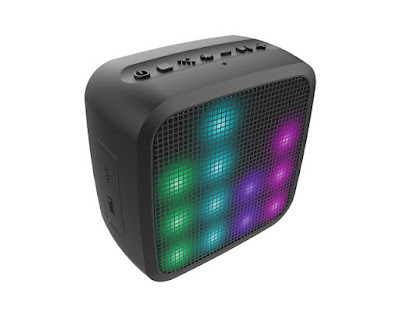 In which case, you could a lot worse than the Trance Mini Bluetooth Speaker from Jam Audio; a small, compact, and resilient speaker that also displays a crazy light show along to the beats of your chosen tunes. Charge this baby for just three hours and you'll receive a whopping ten hours of playtime in return, along with six different light patterns. In use this is actually a very capable little speaker, and although the flashing LEDs on the front are a unique selling point, we'd definitely recommend it for the quality of the sound alone. Highs and lows are both remarkably clear despite the diminutive size, and the bass reproduction is more than decent. Tell dad he can also use it as a speakerphone as well.